DDB’S CHIVAS REGAL CAMPAIGN. | STUFF FROM THE LOFT. I’ve worked on a lot of luxury brands over the years, and essentially that’s the brief you get. You have to make buying the product feel like gaining access to a very exclusive club. With nothing tangible to say you have to conjure up a personality from thin air. It’s tough, you have to be very creative. ‘It’s not what you say it’s the way you say it’ as Bill Bernbach put it. Doyle Dane Bernbach did it a number of times, one that is often over looked is the Chivas Regal campaign. Lots of products had loudly asserted they were the best, Chivas didn’t do that, it playfully toyed with the notion that you already knew they were the most premium. At the time they weren’t seen as premium and they weren’t category leader, but the ads were so damn confident and cocky that you had to assume they were. Here’s how it all started; Bill Bernbach, in what we’ve come to call a chemistry meeting, told potential client and Chivas Regal owner Sam Bronfman ‘I think I ought to tell you that I’ll never know as much about your business as you do. How can I? You built it, you breathe it, you dream it. ‘‘You mean together we can do a great job? OK, you’ve got the account’’ Bronfman replied. With a clear demarcation of who did what, DDB turned Chivas Regal into a a brand that was seen as premium and became category leader. I found this account of how those early ads were written. 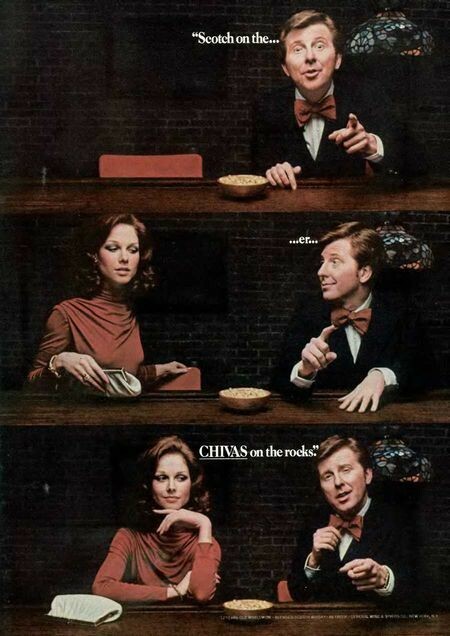 ‘If I had to pick two locations where I had the most fun in advertising, they would be, One, the Polo Lounge at the Beverly Hills Hotel, and Two, Charlie Pic’s office at 437 Madison Avenue. 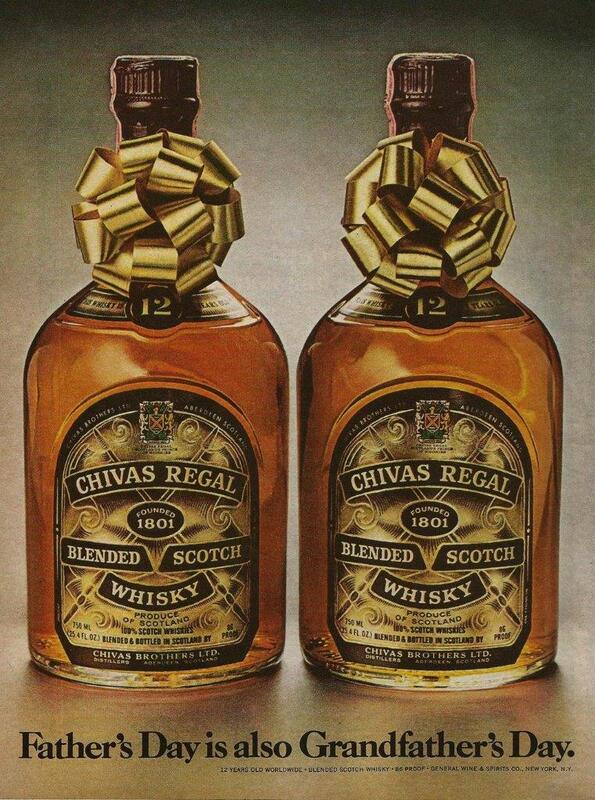 Charlie and I worked on the Chivas Regal account together. The way it worked was, I’d either throw out a line or he’d go pin a cartoon to his wall of cork. If we both liked it, it stayed up overnight. If we didn’t like it the next day, into the trash can. There was zero time pressure. to Bernbach for his blessing, and then straight over to the Seagram Building at 375 Park. Home of Edgar Bronfman, or ‘‘Ed-God’’ as we called him. We’d go to the Board Room and pin all the comps up around the room. By that time we had 20 or 30 that we both really liked. A stream of clients would then enter and walk around like it was a show at a hip Art gallery. And in fact, it sort of was. We didn’t hang one in the show we didn’t want to see on the back cover of TIME or LIFE. We’d listen politely to all their comments, generally agreeing with them because it didn’t really matter. We were all awaiting the arrival of Ed-God. After a half hour or so, he would descend from on high. Lots of bowing and scraping in the board room. Charlie and I cool as two cubes on ice. Ed-God would slowly stroll around the show, hands behind his back, pausing before some of them for a second look. Then he’d say, ‘‘Okay, here’s what we’re going to do’’, and he’d walk around once more, this time with the head marketing guy in his wake. He’d say, ‘‘This one, this one, that one…definitely that one, I love that one. Oh, and this one and this one…etc.’’ Until he’d picked twelve that he liked/loved. We head back over to 437 and put 11 ads, plus one Christmas ad, into production. We had a whole new year to think of more. – Ted Bell, Copywriter, Assistant to Mr. Piccirillo, Doyle Dane Bernbach. 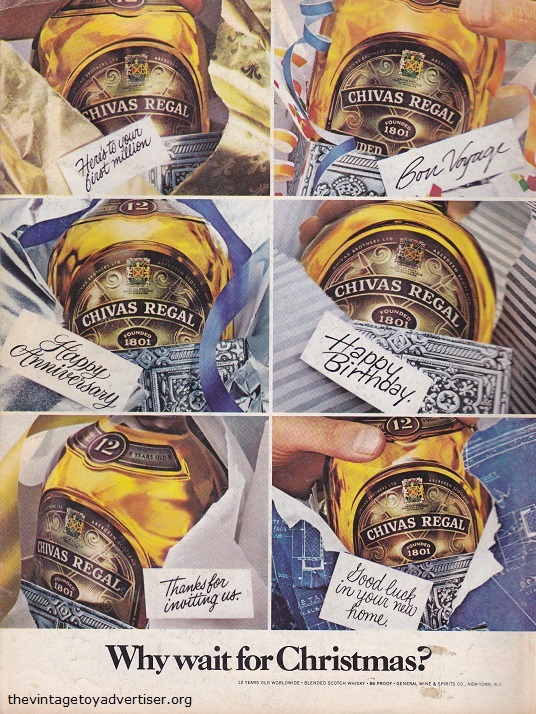 4 responses to DDB’S CHIVAS REGAL CAMPAIGN. I don’t know how you found all these, but what an amazing collection of work. Hey Allen, it’s often overlooked as DDB did so may great campaigns. Best, D.
Do you know who the copwriters were on any of these? Apart from Ted Bell, who’s mentioned at the beginning. ‘Chivas Regal is always twelve years old. Rarely thirteen.’ A David Abbott classic with of course the Father’s Day ad. Reading the copy these past two days has really helped me tackle a brief I’m doing. Hence the number of hits! Next post INTERVIEW: Brian Palmer.